Arthur Christopher Orne Plummer, CC is a Canadian theatre, film and television actor. He made his film debut in 1957's Stage Struck, and notable early film performances include Night of the Generals, The Return of the Pink Panther and The Man Who Would Be King. In a career that spans over five decades and includes substantial roles in each of the dramatic arts, Plummer is probably best known to audiences as the autocratic widower Captain Georg Ludwig von Trapp in the hit 1965 musical movie The Sound of Music opposite Julie Andrews. Plummer has also tackled various television projects, including the legendary miniseries The Thorn Birds. His most recent film roles include the The Insider as Mike Wallace, the Disney-Pixar 2009 film Up as Charles Muntz, the Shane Acker production 9 as 1, The Last Station as Leo Tolstoy, and The Imaginarium of Doctor Parnassus as Doctor Parnassus. Plummer was born in Toronto, Ontario, Canada, the son of Isabella Mary (née Abbott) and John Orme Plummer, who was secretary to the Dean of Sciences at McGill University. His maternal great-grandfather was Canadian Prime Minister Sir John Abbott. Plummer was an only child. His parents were divorced shortly after he was born, and he was brought up at the Abbott family home in Senneville, Quebec, outside Montreal. He is bilingual. He studied to be a concert pianist, but developed a love for the theatre at an early age, and began acting in high school. 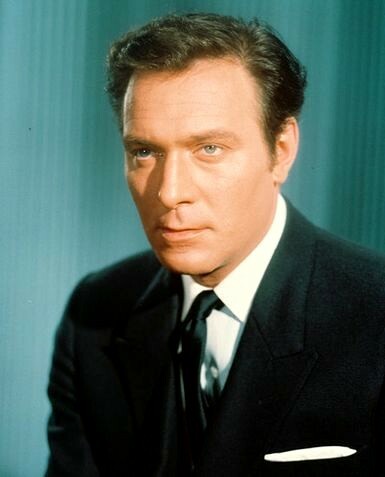 Plummer took up acting after seeing Laurence Olivier's film Henry V . He travelled by train to gain experience with the Canadian Repertory Theatre in Ottawa. Plummer has been married three times. His first marriage, to Tony Award-winning actress Tammy Grimes, was in 1956 and lasted four years. The couple's daughter, Amanda Plummer , is an acclaimed actress in her own right, but he had no contact with her during her early and teenage years. They now maintain a friendly relationship. Plummer was married to journalist Patricia Lewis from May 4, 1962 until their divorce in 1967. He and his third wife, British dancer and actress Elaine Regina Taylor, have been married since 1970 and live in a 100-year-old converted farm house in Connecticut. In a 2005 interview with Entertainment Weekly, Plummer maintained that in their early days he and his fellow actors did not drink to excess "because we had problems...Nonsense! Actually, I was taught as a child to drink. I came from a family that loved wine. I was twelve, I think, when I was drinking wine with dinner." Whole or part of the information contained in this card come from the Wikipedia article "Christopher Plummer", licensed under CC-BY-SA full list of contributors here.